When we build an application that will be deployed on Windows Azure, one thing we should keep in mind is that the assemblies installed on the virtual machines on Windows Azure are very limited. It only contains the default assemblies in .NET 3.5 SP1 and .NET 4.0. 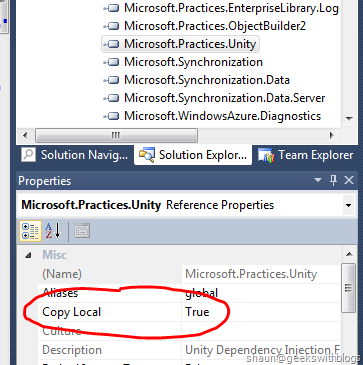 For those references not included on Windows Azure, we should set their Copy Local = True. 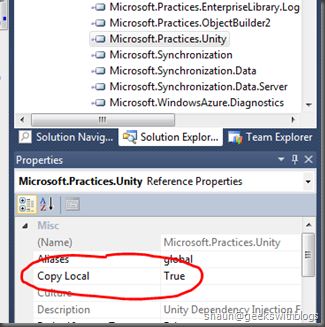 As the image shown above I set the unity reference as Copy Local = True as I pretty know that in Windows Azure the assemblies of Enterprise Library will not be installed by default. 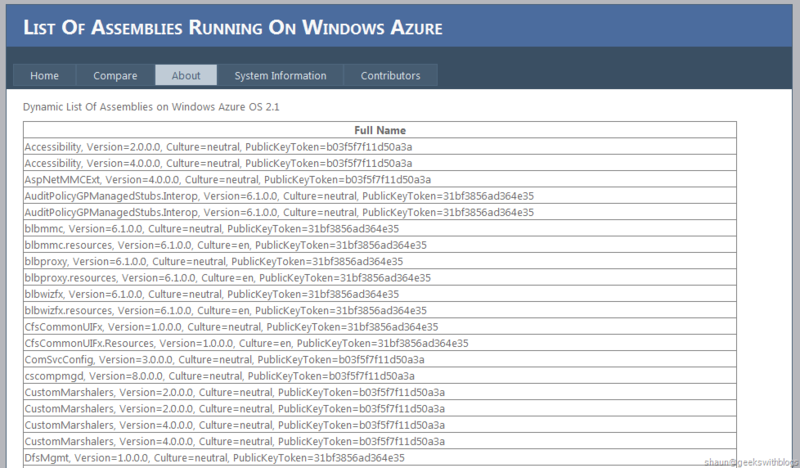 But the problem is that, which references are not on Windows Azure. I had to mark all suspicious references to copy local until I found this website, http://gacviewer.cloudapp.net. 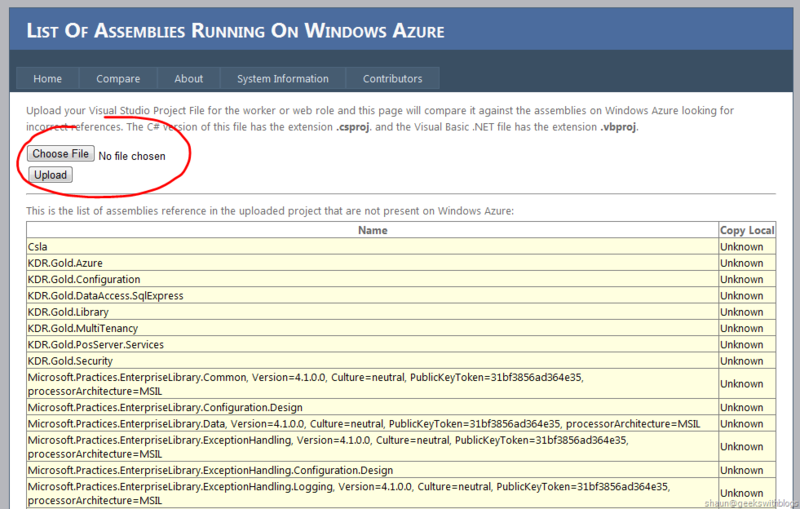 It lists all assemblies that installed on Windows Azure machine in the default page. And additionally, it allows us to upload our project file (web role or worker role) and verifies which references should be copy local. Now it supports C# and VB.NET projects. 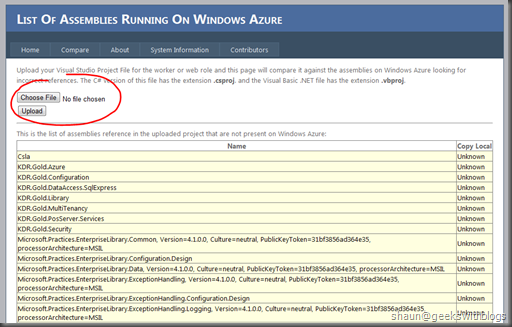 After I uploaded the project file the website verified the references are not present on Windows Azure which need to be set Copy Local = True. It also lists the ones were installed already. 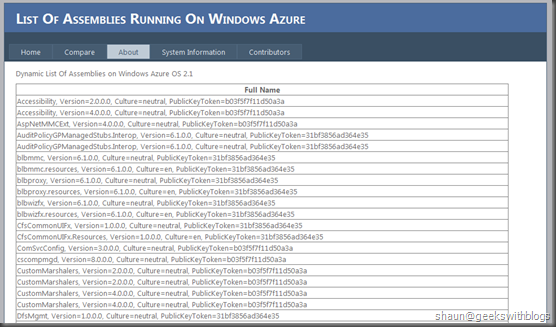 If we forget to set the references not installed on Windows Azure to Copy Local our application will be in trouble while deployed and initialized. The role status loops between start … initializing … busy … stop … start which is very strange. To figure out what’s wrong with it we have to enable the IntelliTrace and Copy Local the reference we forgot and have another try which is very time-consuming. But if we checked our project though this website things will become much simpler.